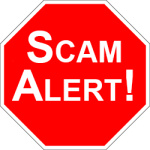 $1K Daily Profit is one of the oldest scams in the history of online trading. They claim you will make profits of $1,000 daily, but we tested the software, and found many problems with it. Here is what you need to know about 1K Daily Profit software, before you become the next victim. Don’t Be a Fool & Waste Your Money! The reason that “1K Daily Profit” is a potential scam, is the fact that they tell you to that you can make $1,000 in the next 24 hours. They show on their website that there is only a limited number of spaces available. However, the original software was actually released on February 15th 2016, and there is no limit on the number of people who can use it. Would you use a software that doesn’t even know how to spell the word Sign, and writes Sing instead? You should test out a Real Trading Software. 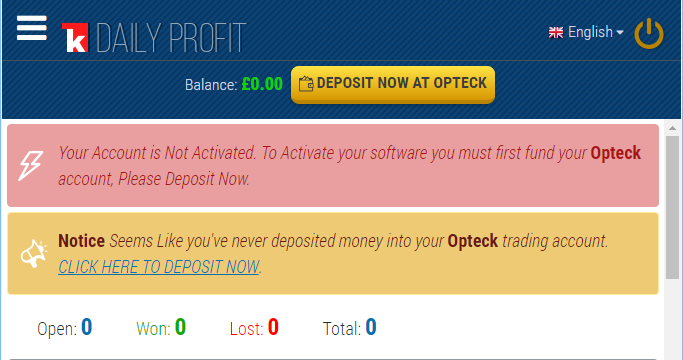 The 1K Daily Profit software is suppose to automatically trade your Forex account and make you money. When we signed up for the software, all they kept asking us to do was deposit money into the brokers account. There is no ability to see the actual software, how it works, or if there are any settings for it. A real trading software lets you configure everything before you make a deposit, see here. We decided to just skip the 1K Daily Profit, and use a software where we can actually see what it does first. The first thing you should do is look at the list of popular brokers, look here. You will not find the Forex broker that 1K Daily Profit recommends on that list! The reason is, because they work with many scam unlicensed brokers. You can read in much greater detail how the scam operates read this. 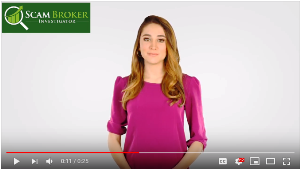 It is important for every investor to know, that your money is held at a broker, and if that broker is not legal, you will never see your money again! Please tell new investors which broker 1K Daily Profit set you up with, in the comments section below.